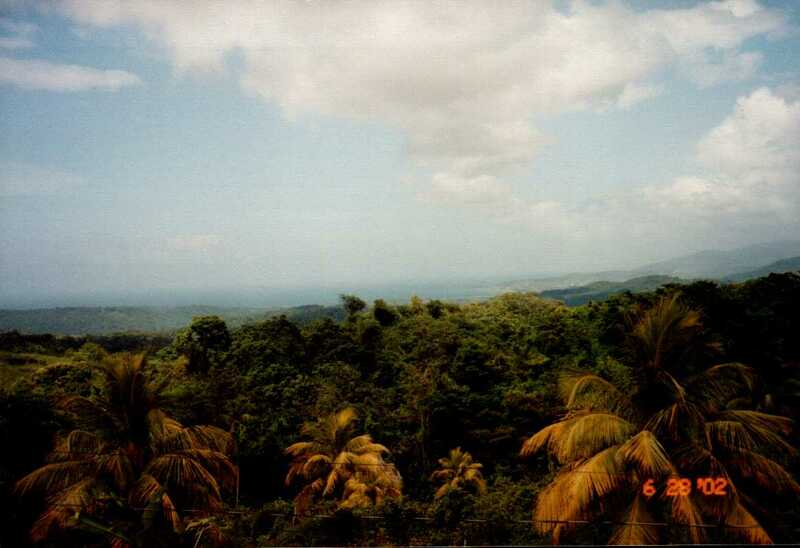 I will say that Jamaica is a very beautiful country. The people are really loving and friendly and even though I had a hard time because of the heat I am so glad I got the opportunity to minister there. The ministry house was lovely but had no screens on the windows. When night came and you had to have the lights on, of course the bugs were drawn to the light. But those are things you manage to live with. 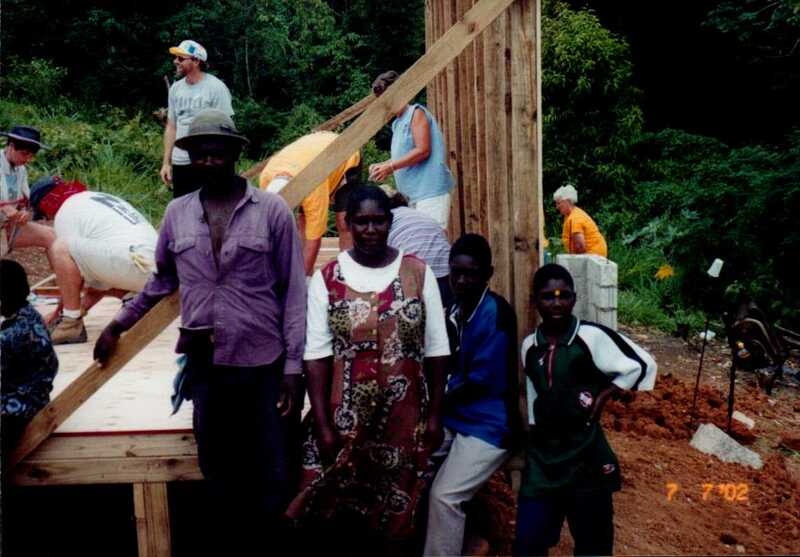 When a team volunteered to come build a house the cost of materials and food was included in the amount of the trip. The ministry would see that all supplies were purchased. 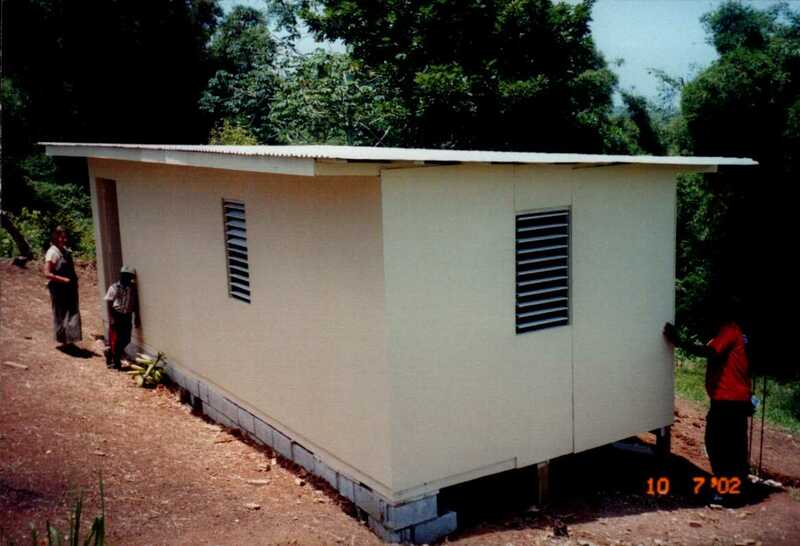 The people who were chosen to have a house built for them also had to participate in the building of the house. The ministry provided all the materials and all the meals including lunch out on the work site. The teams worked from eight in the morning till five at night Monday through Friday. At the end of that time the house was finished. It was always a big deal on Friday when the team leader presented the new owners with the keys to the house. 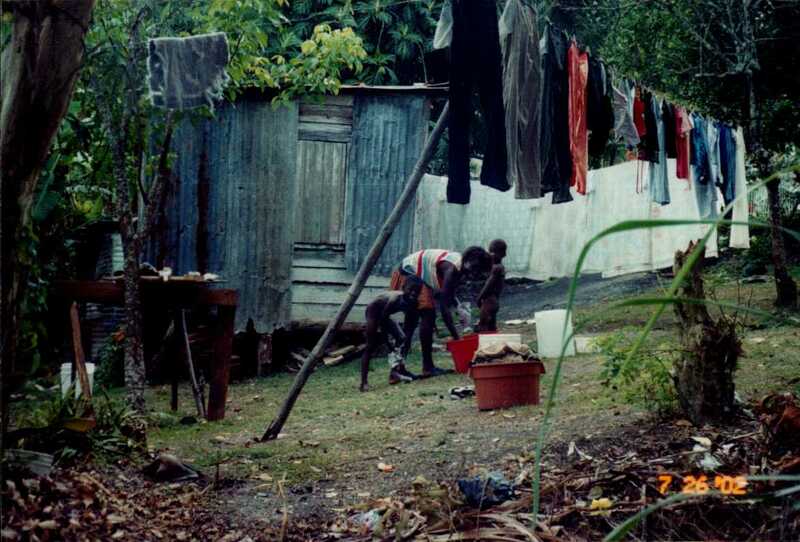 On the day before the presentation the team would go out and buy things needed to keep the house clean. At the presentation the owners were also given the cleaning supplies. Presenting the keys of the finished house to the new owners. Note cleaning supplies. 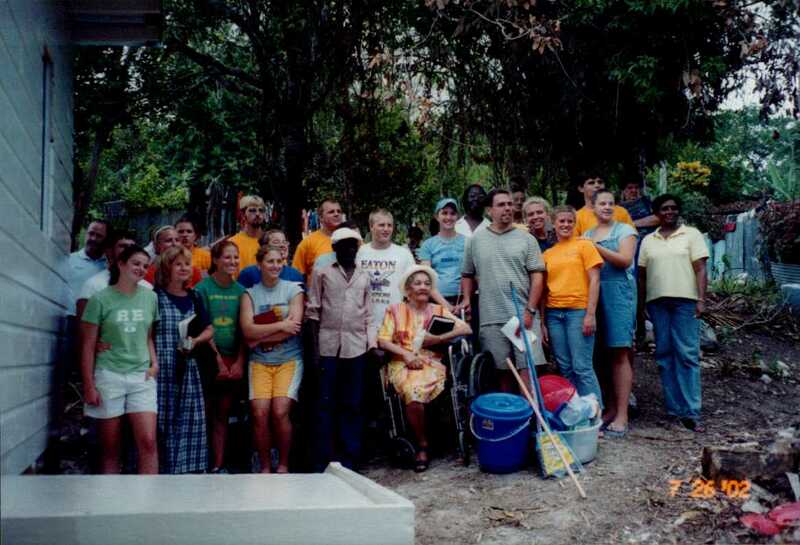 All of the team members were from one church and a lot of them were youth groups. There were a lot of different denominations that came down. The love for the Lord was evident in all of them. We had five different teams while we were there. Before I finish telling you about Jamaica, I want to say cool is a relative term. When they told me the house didn’t need to be air conditioned because it was in the mountains, it didn’t mean much to me. If it was any cooler it would have only been a couple of degrees and of course the humidity was still at one hundred percent. Both time and laundry time at a typical house. I am so thankful to have had this experience. The people will always remain in my heart. For people who have so little they are a joyful and loving people.